Aileen Meagher was born 26 November 1910 in Edmonton, Alberta, daughter of Arthur and Mary Meagher. She moved with her family to Halifax in 1917. She attended the Convent of the Sacred Heart and then Dalhousie University where she received a BA and diploma in education. As a competitive runner, she won numerous medals including a bronze for the 400 metre relay at the 1936 Olympic Games in Berlin, Germany. Meagher was employed as a teacher in Halifax elementary schools from 1935 to 1969. From 1949 to 1956 she spent the summers studying with accomplished artists in Ontario, Massachusetts and Tatamagouche, Nova Scotia. She won the Nova Scotia Society of Artists' (NSSA) prize for water colour in 1950 and continued to exhibit in nearly every annual NSSA show from 1951 to 1969. Beginning in 1958, Meagher travelled extensively throughout Europe, Asia, and Africa. Meagher 's last exhibit was a retrospective at the Dalhousie Art Gallery in 1985. She died at Halifax 1 August 1987. Aileen Meagher's textual records and graphic material were divided among various institutions in Halifax and her niece following her death. The majority of material was donated to the Nova Scotia Archives by Meagher's estate through executor John Meagher in 1987. Additional material was donated to the Nova Scotia Archives by Mr. Meagher in 1992. 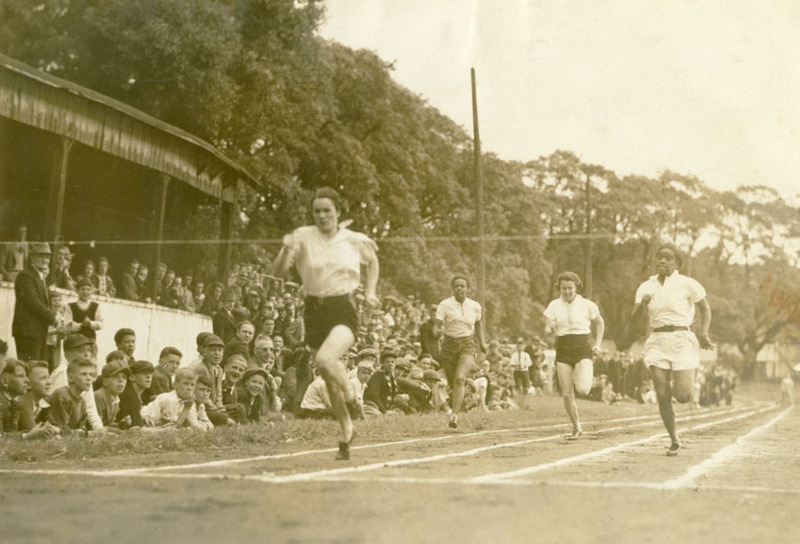 Fonds consists of correspondence, scrapbooks, and other records documenting Meagher's career as an athlete and artist and her personal activities and interests. Correspondence includes letters from friends, including artist Olga Douglas, Father Joseph Murray Abraham and friends at the St. Alphonsus mission school in India, and a few letters written by Meagher to other artists. Other records include postcards, poems, art exhibit notices and catalogues, newspaper clippings and other published material, diary, and ephemera. Fonds also contains photographs and postcards used in the production of Meagher's artwork, and her working drawings, drawings, and sketchbooks featuring Nova Scotian coastal villages, fishing scenes, ships, town and country landscapes, Halifax, trees, flora, and scenes of Europe, particularly Ireland and Irish crosses. There are also a small number of photographs of Meagher, friends in Halifax and India, and the St. Alphonsus Mission School. Microfilm copy of scrapbooks is available. For vols. 2997-2999, use microfilm reels 9488-9490. Drawings in pen and ink, pencil, charcoal, and pastel.